So we made this recipe for Condensed Milk Alternatives for all condensed milk lovers out there! Condensed Milk is truly the nectar of the Gods, and perhaps its own food group! What if you have run out of condensed milk or are dairy intolerant? 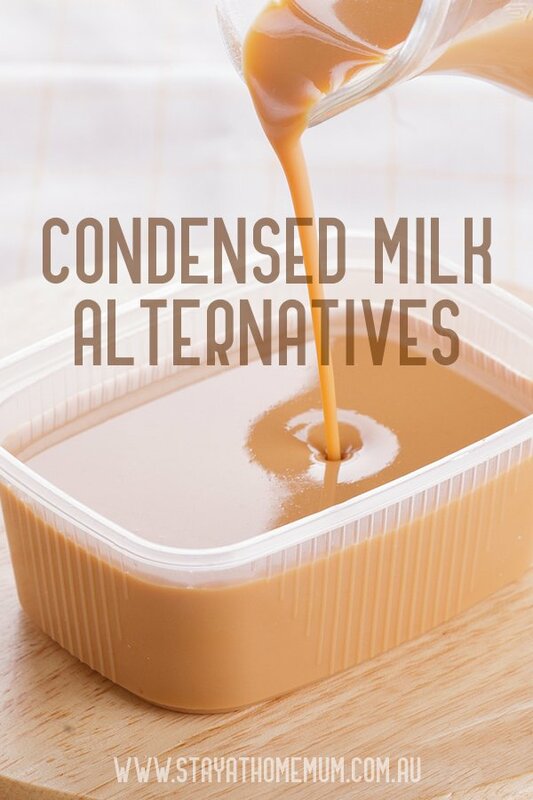 Here are some nifty recipes for condensed milk alternatives! It will keep in a sealed container in the fridge for up to 24 hours only. After then, discard. In a medium saucepan heat together the milk and the sugar. Stir the milk to dissolve the sugar and cook on a low to medium heat for twenty minutes (without allow it to boil) to reduce. In a small cup add a the sifted cornflour and add a tablespoon of water and mix to a thick paste (make sure you get any lumps out). Pour the cornflour mixture unto the heated milk and turn off the heat. Stir the condensed milk until it becomes thick. Keep it sealed in an air tight container for up to four days in the fridge. Place all ingredients into a bowl and beat until smooth. It will keep in a sealed container in the fridge for up to 24 hours only.